Every responsible owner knows how important it is to have their Caravan, Motorhome or Trailer serviced. After all, they are road-going vehicles with wheels, running gear and brakes, all of which need to be regularly checked. In fact, many Insurers now insist on this being carried out annually. Regular safety checks are also advisable on the internal habitation equipment such as gas cookers, heaters and fridges, and regular damp checks can identify problems sooner rather than later. In addition to this, gas regulators and hoses, and 12 & 230/240 volt electrical installations also require regular safety checks. Interestingly, the National Trailer & Towing Association advise that boat trailers which are immersed in water, should be serviced at least every 3000 miles or every 3-6 months, depending on use. Hello, my name is Paul, and I am a 'time-served' vehicle mechanic, with extensive knowledge of a wide range of vehicles, from the humble Mini to Double-deck Executive Coaches. I am a member of the Mobile Caravan Engineers Association. I am fully insured, and am proud to have been trained and certified by BPW, Alde, Truma UK, ACoPs (LPG Gas Safety) as well as the MCEA. ​I cater for all makes and models of Touring Caravan, Motorhome, Camper, Horsebox and Trailer, but not Static/Residential Caravans. 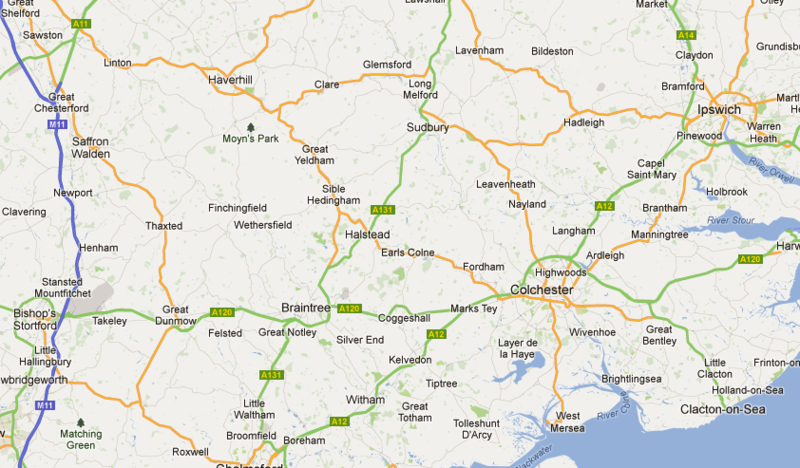 My area covered is north Essex, south Suffolk and east Hertfordshire. See the map for clarification. Being a small family business, we pride ourselves on our friendly, personal service, and attention to detail. Our rates are competitive, with no hidden charges. I also offer a local 'call-out' service in case of emergency, so if you have a problem, please don't hesitate to give me a call on my Mobile; 07711 144 787. Remember - We come to you! Happy Caravanning, and stay safe! Copyright © 2012-2019 The Caravan Man/Paul Twyman. All rights reserved.